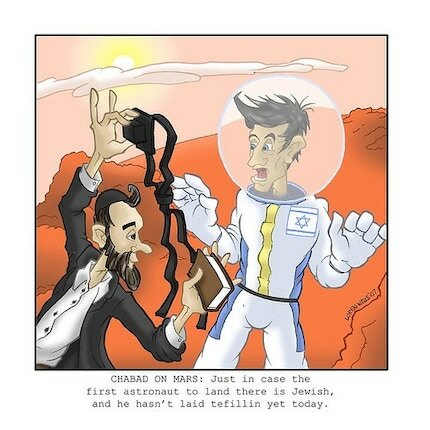 Just Call Me Chaviva: Chabad on the Moon!? While perusing Etsy.com, as I do sometimes when I'm bored, need to refresh my brain, and don't have a graphic novel laying around, I came across some funny comics up for sale. This one gave me a happy giggle. If you'd like to purchase one, just visit this Etsy Shop! (I also like the Rashi on a date one, tee hee.) After all, we have to be able to laugh at ourselves, right?